In an exclusive - and his first since November 8 when he announced the banning of Rs 500 and Rs 1000 notes - interview to India Today magazine, Modi said demonetisation has forced all "black money out into the open." While the jury is still out on whether or not demonetisation was a gamechanger for India's economy, Prime Minister Narendra Modi has shrugged off all criticisms of his drive as it completed 50 turbulent days this week. Prime Minister Modi told India Today Group Editorial Director Raj Chengappa, "Black money has all been forced out into the open, whomsoever it may belong to-whether it is corrupt politicians, bureaucrats, businessmen or professionals. Counterfeit notes, which our intelligence agencies had reported to be available in high volumes with our enemies, have been instantly neutralised. The media has extensively reported on districts famous as counterfeiting hubs being badly hit. Similarly, cash held by terrorists, Maoists and other extremists has also been neutralised. There has been a crippling impact on dangerous and highly damaging illegal activities, such as human trafficking, and the narcotics trade as well." Summary: The China-Pakistan Economic Corridor is solidifying relations between the two nations but the project faces multiple security and political challenges. ** Are India, Iran and Russia Parting Ways on Afghanistan? With the entry of ISIS into the Afghanistan equation, Indian interests have diverged from those of Russia and Iran, who have said that ISIS is a much more dangerous threat than the Taliban. Iran, Russia and India were the big three powers that acted in unison – in supporting the Northern Alliance – to prevent a complete takeover of Afghanistan by the Taliban between 1996 and 2001. This experience of working together to resist the Taliban has largely shaped their actions in Afghanistan since then. Cooperation between the three states, even in the overt domain, continued over the years and was evident recently as well. In November 2016, India completed the delivery of a batch of four Mi-25 Russian combat helicopters to Afghanistan. Earlier in March 2016, India and Iran signed a bilateral deal to develop the Chabahar port that would provide Afghanistan an alternate access to the sea, bypassing Pakistan. 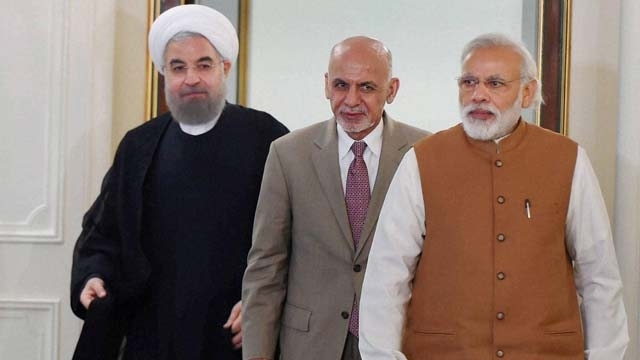 Such instances of collaboration involving Russia, Iran and India have given rise to a belief that these three powers have convergent interests regarding peace and stability in Afghanistan. The nature of Sino–Indian interactions across five issue areas highlights that Delhi and Beijing have more overlapping interests than is generally recognised. Such an analytical exercise also reveals that South Asia is potentially the most contentious arena for India–China relations. A limited Sino–Indian geopolitical accommodation in the immediate neighbourhood is both viable and necessary to arrest the deterioration in the bilateral relationship in recent years and ensure regional stability. Any evaluation of India–China relations should attempt to analyse the operating framework that guides this relationship. It is increasingly recognised—indeed, it is all too obvious—that the bilateral equation is in stress. The main reason for this flux is that the old framework established in the closing years of the Cold War appears to be unable to handle the intersection of interests between the two sides at a time of change in various settings—the Asia Pacific, Eurasia, the subcontinent, and the global economy. The old framework essentially sought to mute the security dilemma, which was largely, though not entirely, a consequence of a disputed frontier, while opening the possibility of developing a mutually beneficial relationship in other non-security areas.1 In many ways, this was a pragmatic attempt to craft a stable equilibrium without actual or meaningful accommodation with the core or vital interests of either side. In this sense, the late 1980s and the manifestation of a detente in the 1990s in the form of confidence-building agreements, built around peace and tranquillity on the frontier, were far less ambitious and more incremental than the grand strategic detente one notices in other normalisation processes among the major powers.2 The United States (US)–China rapprochement in the 1970s and the Russia–China rapprochement in the late 1980s stand out as alternative models for a bilateral normalisation after a prolonged period of intense conflict, rivalry, and competition. In these two cases, we can notice more elements of transformation in the bilateral relationship. The Manipur government headed by Chief Minister O. Ibobi Singh created seven new districts last week in Manipur. The move claimed to have been done for administrative convenience, and efficiency in carrying out development work, was part of an election promise made 5 years ago. The bifurcation has come at the end of a year-long struggle between the ethnic hill dwelling tribes and the valley based government over land, identity and political footprint within the state. The Ibobi government which enjoys the support of the majority Meitei groups passed three bills last year. This included a Manipur people’s bill that wanted to define Manipuris as only those people who according to census resided in the state from 1951, and a land reform bill that was designed to give Meitei people permission to buy and sell land in the hill region. The former would have alienated most hill tribes without documentation, and given that Manipur was a union territory until 1972, what documentation was available would have been sparse. The latter is prohibited per current tribal laws, and permission from the Hill Districts would have ordinarily been required for the bill to pass. Is India ready to face massive technological challenges of 2017? Consistent with exponential growth dynamics, astonishing progress of digital and other technologies in every sphere of human endeavour, from artificial intelligence to genetic engineering, space technology to nanotechnology – continued to overwhelm the world in 2016. 2017 certainly promises to bring more such technologies to our life. The two most influential books on current and future technological trends published in the last couple of years – The Second Machine Age(2014) by MIT’s Erik Brynjolfsson and Andrew McAfee, and The Fourth Industrial Revolution (2016) by Klaus Schwab, founder and executive chairman of the World Economic Forum, Davos – give a pretty good picture of the new technologies and disruptions that the human civilisation is expected to experience in the near future, a future that actually has already arrived. From the data, it can be shown that ventures unleashed by the fourth industrial revolution have started hitting the market with increasing frequency since the middle of the last decade. A year after Pathankot, has anything changed? In a few days time, it will be a year since terrorists attacked the IAF base in Pathankot. Since that attack, terrorists have targeted other military installations, most recently in Uri and Nagrota. 'More needs to be done in less time,' says Vivek Gumaste. We can vociferously condemn in the harshest possible terms the wanton savagery of the cowardly terrorists who attack our military installations with impunity targeting even women and children; we can seethe with self-righteous anger at the diabolical treachery of Pakistan and exult in our moral superiority; we can shed rivers of tears for our martyred soldiers and sing high sounding paeans to the exceptional valour of our fallen jawans. But at the end of the day we cannot escape the reality; we cannot deny the truth that stares unblinkingly back at us. Four significant developments will characterise the global threat landscape in 2017. First, it is likely that the so-called Islamic State (IS) will transform from a caliphate-building entity into a global terrorist movement. In a manner similar to Al Qaeda (AQ) that had dispersed from its Afghanistan-Pakistan core in 2001-2002 to conflict zones worldwide, IS will refocus on consolidating the distant wilayats (provinces) to serve as bastions of its power. Second, death of either the IS leader Abu Bakr al Baghdadi or AQ leader Ayman al Zawahiri, may lead to collaboration or possible unification of the most powerful terrorist groups. In this regard, the discord between IS and AQ is a leadership dispute and not ideological in nature. Third, IS, AQ and their associates will compensate for their losses in the physical space by expanding further into cyber space. Despite government and technology firms collaborating to monitor the cyber space, the battle-space of threat groups in the virtual communities will continue to operate and grow. Earlier this month, just before Christmas, China flew an improved version of its Shenyang FC-31 Gyrfalcon stealth fighter. Compared to the previous prototype, the new version features a host of refinements and has started to resemble a genuine fifth-generation stealth aircraft in many ways. Clearly, Beijing is making progress in the aerospace arena—helped in this case by technology that was almost certainly stolen from the Lockheed Martin F-35 Joint Strike Fighter program. While it is not clear where or even if the FC-31—previously known as the J-31—fits into the Chinese People’s Liberation Army Air Force’s (PLAAF) order of battle, one of Beijing’s goals for the new aircraft is to secure a foothold in the export market. Indeed, China hopes to compete directly with the Lockheed Martin F-35 for orders around the world—as stated by both PLAAF and company officials. The policy of the United States and its close allies in the South China Sea has failed. Repeated statements of limited interest accompanied by occasional ship and aircraft passages have failed to prevent Beijing’s program of island creation, nor have they meaningfully forestalled China’s quest for military dominance in the region. In seeking to minimize the risk of confrontation at every step, the United States and its allies have effectively ceded control of a highly strategic region and presided over a process of incremental capitulation. Bad precedents have been set, and poor messages have been transmitted to the global community. In parts of the Western Pacific, the allies are in danger of losing their long-held status as the security partners of choice. Why have Washington and other allied capitals been so flat-footed? Why has it taken so long to develop an effective counter-strategy to Beijing’s island creation and militarization in the South China Sea? In a front-page commentary, the China National Defence Daily said the high-resolution images, which showed the vessel covered with scaffolding amid towering cranes, were a “wake-up call” for the country to better protect military secrets. Beijing has classified the carrier project and its existence was only confirmed last year. Kyodo News published the photos two weeks ago, saying they were obtained from an undisclosed source and taken in late December. The carrier is China’s first domestically made one and will join the retrofitted Liaoning. Work was almost completed, Kyodo said. Neither Kyodo nor the Chinese defence ministry immediately responded to requests for comment. The battle of Aleppo, as Russia and Iran saw it, was meant to strengthen Assad's hand, not to indulge his fantasies about follow-on victories to retake the rest of Syria. While there are no precise numbers, the carnage in Syria may have consumed as many as 470 thousand lives and forced some 4.8 million Syrians to flee, mainly to Turkey, Lebanon and Jordan. So the news that the Ba’athist government of Bashar al-Assad (backed by Russia, Iran, and Hezbollah) and the High Negotiations Committee, which encompasses an array of thirty or so armed opposition groups—though not all—had agreed to a ceasefire, to take effect as of midnight on Thursday, comes as welcome news. Even those who have followed the Syrian war closely and therefore have good reasons to doubt that the latest deal to silence the guns will fare any better than did its forerunners will concede that it beats the alternative: continued bloodletting. Russia will start developing a new Airborne Warning and Control System (AWACS) aircraft called the A-100 to replace the long-serving Beriev A-50 Mainstay next year. The new platform will be based on the Ilyushin Il-76MD-90A military transport aircraft and will feature completely new systems. According to Alexander Yakunin, general director of the United Instrument Manufacturing Corporation, the new Russian aircraft will have a completely new radar and sensor suite. Along with the new sensor suite will come new a new computer architecture and new workstations for the crew. The resulting aircraft is expected to have a much greater capacity for managing the battlespace compared to its predecessor. In the near future, Belarus will remain an unofficial region of Russia, whether it wants to or not. Local pundits, analysts and media have raised the issue of Russian-Belarusian relations reaching their lowest point in at least five years. 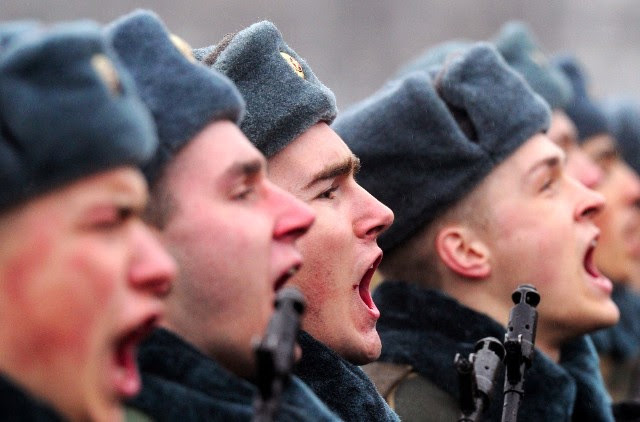 Belarus’ military doctrine has changed, new agreements were signed with NATO countries, disputes have developed over energy prices and trade regulations, diplomatic protests were launched and extensive media campaigns questioned the integrity of the relationship. Two Russian TV stations have suggested a Ukraine-style uprising could occur in the country. Given Belarus’ strategic importance to Russia, there is cause to examine the depth and interdependency of this bilateral relationship. In geopolitical terms, Belarus’ strategic value to Russia is similar to Ukraine’s. Russia is geographically vulnerable. Its core is not only landlocked but also vulnerable to invasion via Europe’s Northern Plain. For this reason, Russia’s national strategy is to move its frontier or sphere of influence as far west as possible. The Baltics, Belarus and Ukraine serve as the critical buffer zone between Russia and Europe, which gives Russia the necessary depth to protect itself and provides additional economic opportunities. Counterinsurgency (COIN) continues to be a controversial subject among military leaders. Critics argue that the wars in Iraq and Afghanistan have made the U.S. military, particularly the Army, "COIN-centric." They maintain that equipping U.S. forces to combat insurgency has eroded their conventional war fighting capabilities. Those committed to preserving and even enhancing COIN capabilities, on the other hand, insist that doing so need not compromise the ability of the military to perform other tasks. They also point out that the likelihood of even a mid-level conventional war remains low while the probability of unconventional engagements is high. This monograph reviews the COIN debate, analyzes current force structure, and concludes that contrary to the more extreme positions taken by critics and proponents, the U.S. military has achieved a healthy balance between COIN and other capabilities. The Army‘s “Top 10” modernization programs in 2016 range from a new hand grenade designed to be easier for lefthanders to throw to hydrogen-powered vehicles, Training and Doctrine Command (TRADOC) said in a release Thursday. 1. Enhanced Tactical Multi-Purpose (ET-MP) grenade. Engineers at Picatinny Arsenal in New Jersey are developing an “ambidextrous” Enhanced Tactical Multi-Purpose (ET-MP) grenade that can be thrown more easily with either hand. The current M67 grenades require different arming procedures for left-handed users. Matthew Hall, the Grenades Tech Base development lead, said the transition to the new grenades is expected to take place in fiscal 2020. 2. A new, lighter ballistic shirt. In designing the shirt, “We set out with this science and technology effort to meet the needs of high-performance athletes, which is what soldiers are,” said Robert DiLalla, team leader of the Infantry Combat Equipment Team at the Natick Soldier Research, Development and Engineering Center. In a recent presentation, embedded below, I raised three problems with these claims. One is that military spending remains high. The recent drawdown cut military spending by more twenty percent in real terms, but it came after buildup of nearly fifty percent. It’s now around Cold War peaks, in real terms. Second, the military is shrinking partly because of its heightened quality. Rising personnel costs reflect the heightened professionalization of American troops. Similarly, U.S. weapons systems have grown deadlier, more complex, and costlier to maintain. The net result is forces are fewer but substantially more capable than previously possible. 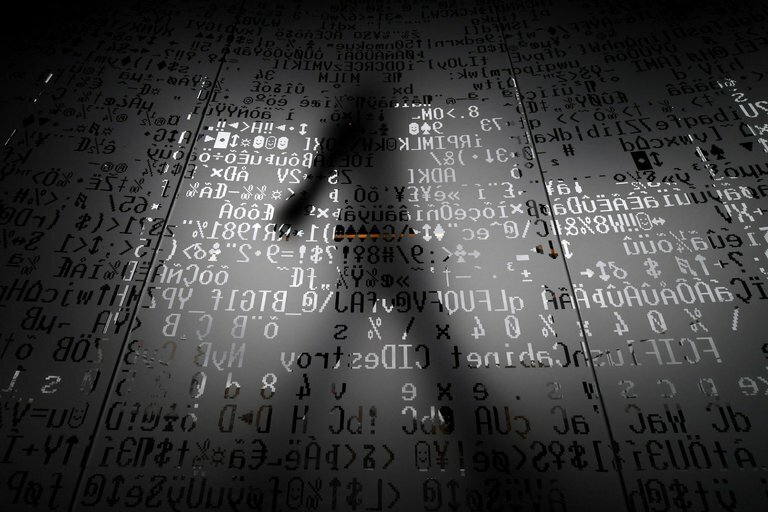 Sanctions won't deter future Russian cyber attacks not only because of Washington’s limited ability to impose costs on officials it believes ordered the hacking, but because neither side is ready to accept deterrence in the cyber domain. In its remaining time in office, the Obama administration’s resolve to respond to Russia’s actions is clear. A bipartisan majority on Capitol Hill appears almost certain to support these measures, and is likely to impose additional punitive sanctions against Moscow in the near future. Much less clear is whether pressure from such sanctions can actually change the Russian behavior that has caused so much consternation in Washington. Is Russia Responsible for a Cyber Attack Against the OSCE? 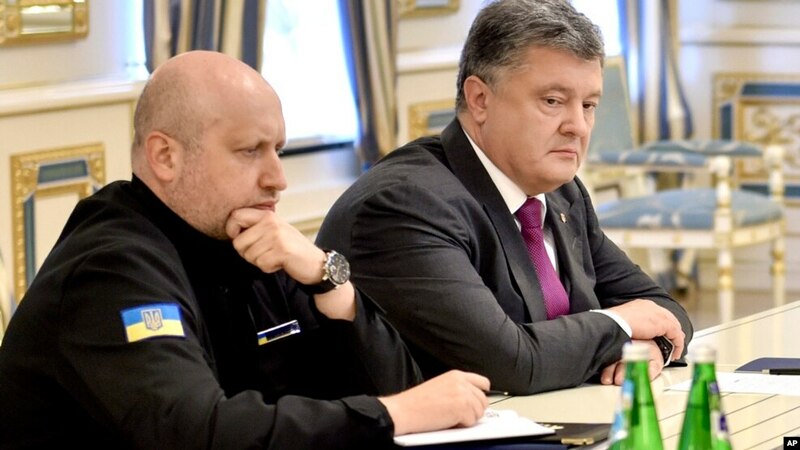 The Organization for Security and Cooperation in Europe, a rights watchdog that for more than two years has monitored the ground war between Ukrainian forces and Russian-backed separatists, acknowledged Wednesday it had been hacked. The likely culprit, according to Le Monde: Russia. The OSCE confirmed to Reuters that it became aware of the attack in November. It rectified the situation through “entirely new security systems and passwords.” It confirmed the hack after the Le Monde report, in which an unnamed source suggested that Russian group APT 28 was responsible. APT 28 is better known in the United States as Fancy Bear, which investigators believe was also behind the hacks against Democratic Party leadership during this year’s American presidential election. Fancy Bear is believed to be directed by Russian military intelligence, or GRU. U.S. President-elect Donald Trump continues to doubt Russia’s role in the Nov. 8 vote, and says he won the election fairly. Le Monde noted the cyber attack against the OSCE follows hacks against Hillary Clinton’s presidential campaign and France’s TV5 Monde. It also comes amid fears that Russian cyber fiends will hack German elections to the detriment of German Chancellor Angela Merkel, who is up for re-election.